What is Espresso&Tonic and who are we to thank for this drink? You may have spotted this name on menus at speciality cafes around Europe, where it has started appearing already several years ago. Slowly, but surely, the drink has become a staple on cafes’ menu, but let’s go back to the beginning. Espresso&Tonic, Kaffe&Tonic, Coffee&Tonic—many names have been established for what is a variation on quite a basic and simple recipe: a double shot of espresso and tonic water with ice. Thinking of the first time we have heard about Espresso&Tonic, we always end up at Koppi Roasters’s cafe in Helsingborg. The creation of the drink and its growth in popularity was tightly connected to the cafe’s opening in 2007. Anna Lunell, one of the founders of Koppi Roasters, told us about the origins of the drink. Was it Koppi who invented the Espresso&Tonic, as we have always believed? 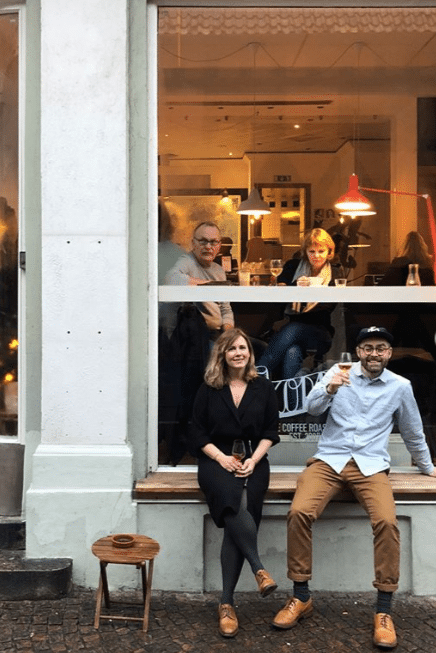 Over the past years, we have seen many pictures of the drink all over Koppi Roasters’ Instagram feed, so we reached out to Anne Lunell, one of the founders of Koppi Roasters, for an explanation. 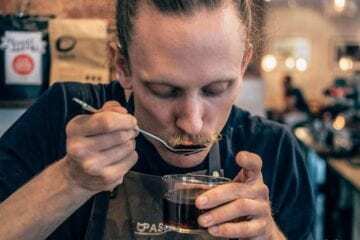 Since the cafe's opening, the drink was served at the cafe for 10 years, until the cafes closing in December 2017, and during that time, it has grown in popularity in Scandinavia, Europe, but also in the States and other parts of the world. Kaffe&Tonic became the most popular iced drink at Koppi, and it has been incorporated into cafe menus as a simple, yet delicious alternative to cold coffee. Espresso&Tonic is so simple and fast to make! It delivers so much flavour—it is appreciated especially for the balance of acidity, sweetness and bitterness. But at the same time, it also offers quite a lot of room for experimentation! What are some of the basics that you should keep in mind when preparing an Espresso&Tonic? Fill a big glass (350 ml) all the way to the rim with ice. Pour over a good tonic and let it sit whilst you’re preparing the espresso. That way the tonic has time to get ice cold. Add garnish if you like – we normally serve it with a couple of slices of lemon or lime. Prepare a fruity espresso and pour the shot gently over the ice and serve it straight away. Cold brew instead of espresso? It is clear why Espresso&Tonic has gained so much popularity across diverse cafes in Europe and the world. Simple ingredients, fast preparation, versatility. 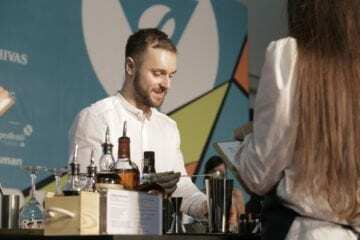 It is the drink that can be repeated with the same result on a busy coffee bar, but it can be adapted to everyone’s preference and convenience as well. The key difference between various recipes of Espresso&Tonic is the type of coffee beverage you make it with. So much so that, technically, you would not even call it ‘Espresso&Tonic’ anymore. We have found many recipes which incorporated cold brew, instead of espresso, in their drinks. The difference in the resulting beverage would be the texture, as well as the looks. 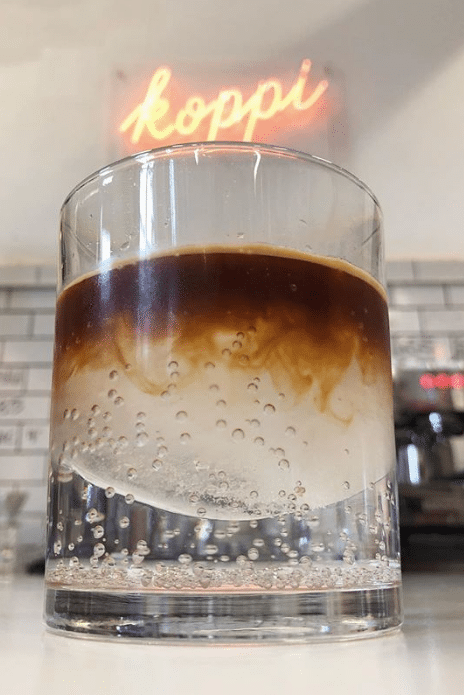 Pouring an espresso on top of the tonic creates a little layer of silky foam that many appreciate as the best part of the drink, the first sip that tastes the best. 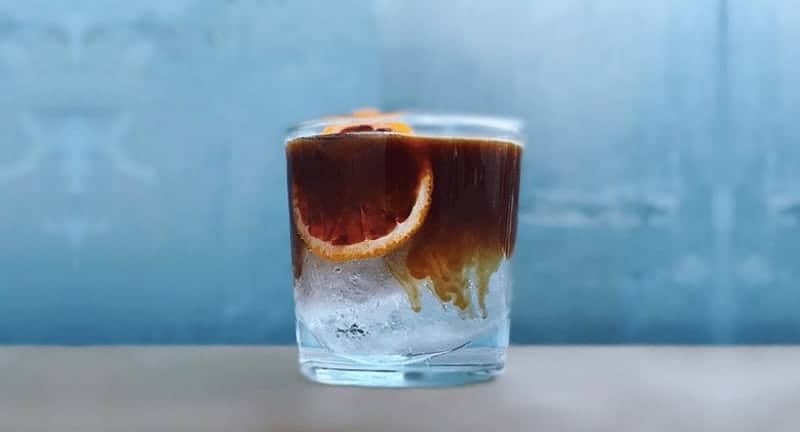 With cold brew, the concentrate mixes with tonic very well, creating a rich and smooth drink, but the crema on top is missing. The cold brew method will allow for a faster preparation on the bar as well since there can always be a bottle of cold brew sitting in your fridge. If you would like to make one at home, for a group of guests, you won’t need any expensive equipment to make this delicious treat. Then, it is up to you how strong you make it, or what origin of beans you use with it. There are no set rules for brewing a Coffee&Tonic. But for the ice, of course! Very well then, make your own variation! Choose a locally-roasted coffee you enjoy, prepare a cold brew with it (or an espresso, if you have a coffee machine at home) and make some filtered-water ice cubes. Test a few tonics available to find your preferred one. Once you decided on the ingredients, you can test a few recipes. And don’t forget the garnish!